Sigh, 2014. Remember when Instagram was still super new to everyone? When it was so simple. People hadn’t established the follow/unfollow technique to become popular, presets didn’t exist and you didn’t need to fit some super-hard-to-achieve standard to gain followers, and the homepage was in chronological order. Why change? Why? What’s So Great About 2014? To be honest, I had no idea that Instagram actually launched in 2010. I only noticed that people started to use it in 2013! I remember people sharing their new Instagram pages on Facebook and being super annoyed that I couldn’t sign up due to the fact I didn’t have an iPhone (I had a Blackberry at the time – remember that phase?). In fact, I didn’t get to make my original Instagram until December 2014, so I pretty much missed the whole phase that this blog post is about. Except, for some reason, 2014 holds a special place in my heart. I loved the fashion of this year. I think it’s to do with the fact that it was the first year in my life when I really started getting into clothing and makeup, and generally becoming a girly-girl again after years of going through goth and scene phases and really just trying to be ‘not like the other girls’. Though that’s a story for another time. What Brought On These Memories? A recent tweet viral tweet made me think about this era of Instagram in a lot more depth. It was a few group pictures of Joanna Kuchta, with friends Charlie and Beth (I couldn’t really find her friends’ surnames anywhere but Joanna is the main focus for this post!!). In the thread, everyone was excitedly talking about how this part of Joanna’s and their life shaped them into who they are today, which is something I can kind of relate to. I decided to go back through Joanna’s Instagram specifically to relive the trends she was into at the time and the trends that she inspired so many people who followed her. FYI, Joanna is now a very established model with 1.1M Instagram followers. Every time I think about the fact she blew up through the internet alone (Instagram and Tumblr mostly I think) it gives me hope that maybe at some point I’ll become successful with help from the internet too (lol). The American Apparel Tennis Skirts exploded onto the scene in 2014, especially after Joanna posted pictures of herself wearing it multiple times on Instagram. To be honest, pretty much anything from American Apparel was “totally aesthetic” and desirable, which is strange considering how the original AA went bankrupt shortly after this popularity spike in 2016 (this is the subject of another post I have planned for the future). 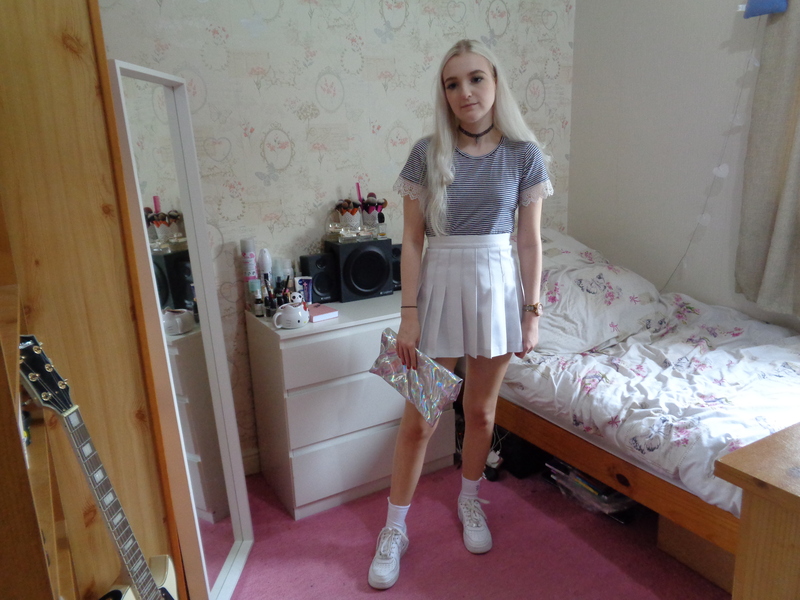 I still am a huge fan of the AA tennis skirts; I wear them at least once a week and own 7 of the skirts in 6 different colours/styles and still want more. The white skirt in particular was and still is probably the most popular of all the tennis skirts, and is my personal favourite too. Although much of the major tennis skirt hype from 2014 has died down now, it’s still popular among many fashion accounts on Instagram, especially on Korean fashion accounts. It makes me happy to see these skirts still worn and loved. It gives me that little dose of 2014 that I crave ever-so-much. 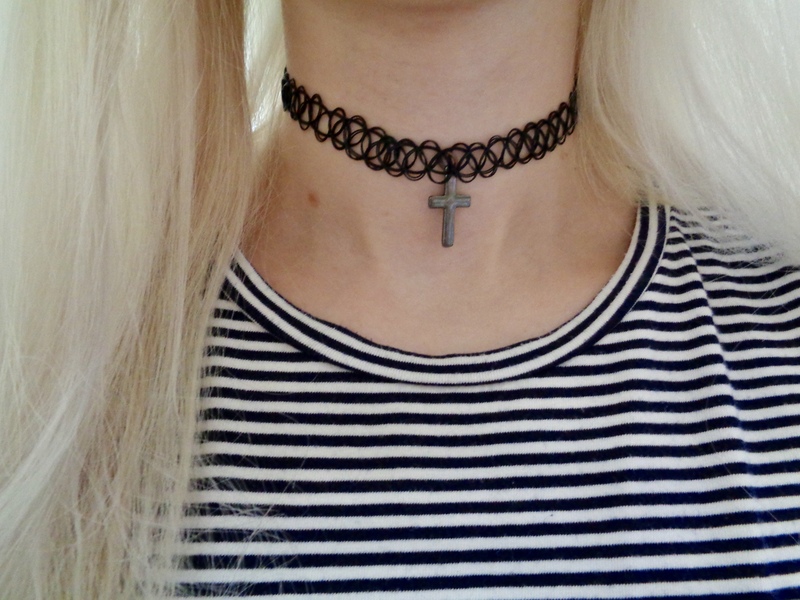 Chokers were also a huge trend in 2014, particularly tattoo chokers which then also became bracelets and even rings. They were stretchy and comfortable and suited literally everyone, so it’s no surprise that they were so popular at the time. The great thing about them was that you could buy your own little charms for them and decorate them to personalise them. Or alternatively, you could just buy one that already had a charm on it. I actually still like these chokers, even though I don’t wear them as much anymore. As you can see, I have this cute one with a little cross charm on it which I have worn to death but was unfortunately stretched out when I let my boyfriend’s nephew play with it (good job he’s cute enough to forgive!). I could probably move the charm onto one of my many other tattoo chokers though. Let’s preface this section by saying that the Nike Air Force 1 trainers are not vegan and I don’t want its appearance in this blog post to be considered a promotion for them, because it’s not. As cute as these trainers are in their many forms, I have been unable to find any vegan version of them by Nike, or a vegan knock-off version by any other brand. If I ever do happen to find a vegan alternative, you guys will be the first to know. Continuing on, I could not talk about fashion trends from 2014 and overlook how popular the white Air Force trainers were – particularly the high tops. 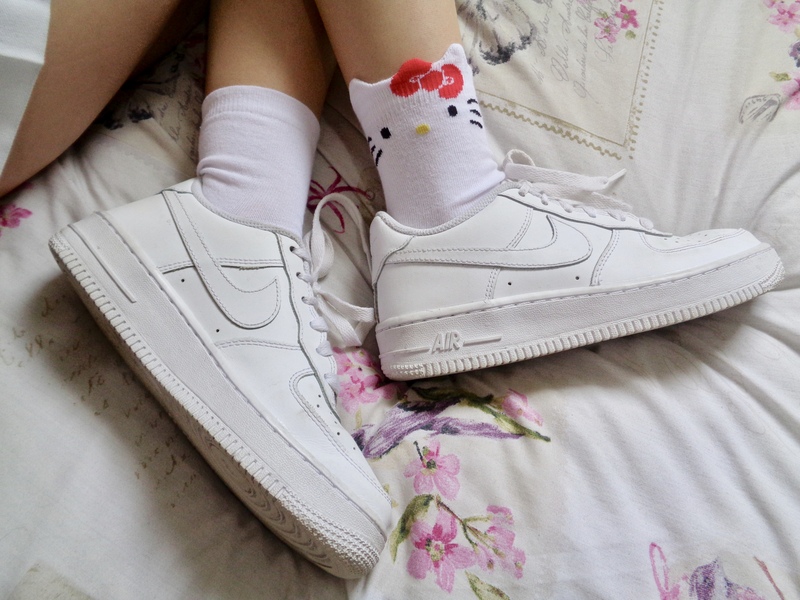 Looking at Joanna’s 2014-era Instagram, she wears these trainers to death, and like the American Apparel Tennis Skirt, they appear multiple times in her posts. The Air Force 1 trainers are still super popular to this day, but mostly in customised forms. It’s the white ones in particular that were massively popular in 2014. * Disclaimer: I bought these Nike Air Force 1 Low-Tops in 2016 a few months before I made the transition to veganism. I still own all of my expensive non-vegan shoes bought pre-veganism, mainly because I spent a lot of money on them at the time and I am a poor graduate! Don’t come for me! Do you remember when people would refer to themselves as holosexuals? Because they liked the holographic print/material so much? Weird times. Literally, holographic everything was all the rage in 2014. Anything from clothes, shoes, bags, to accessories. If it was holographic, you had to buy it. I didn’t actually hop on this trend too much at the time, but looking at Joanna’s old Instagram, she certainly did. 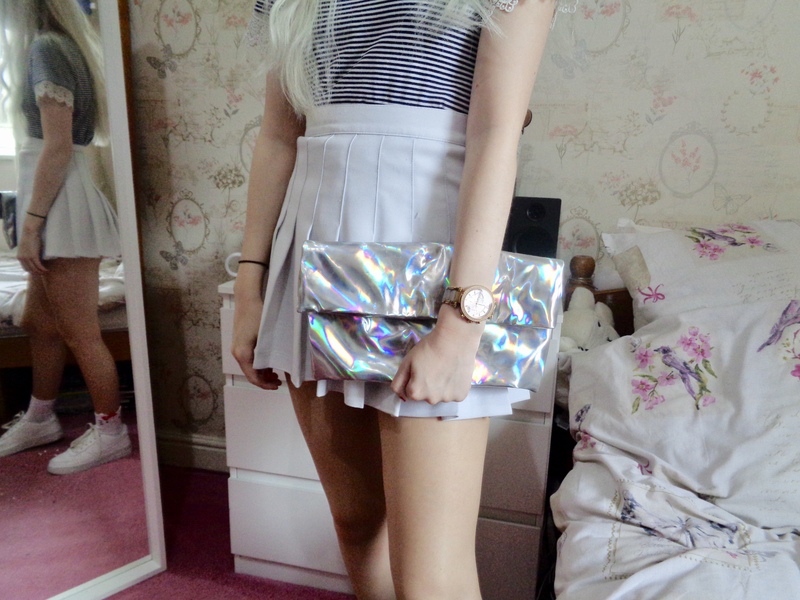 The only thing holographic I could find that I own was this little bag I use for going out-out every so often, and this was bought sometime around last year I’m pretty sure. Late to the trend, but hello, I have arrived now! A couple of other little trends I want to mention before signing off this post is the black and white grid print that small store owners would use on their clothes for matching co-ords, and every Joanna-wannabe would use for an Instagram pic’s background. Also, I noticed that if you could get any item of clothing in the colour white, you had to get it in the colour white. If it was American Apparel, you had cracked the code. What are your feelings about the year 2014? What 2014 fashion trend do you like and/or miss the most? I hope you’re all having a great day, and that you will be back for more posts in the future. 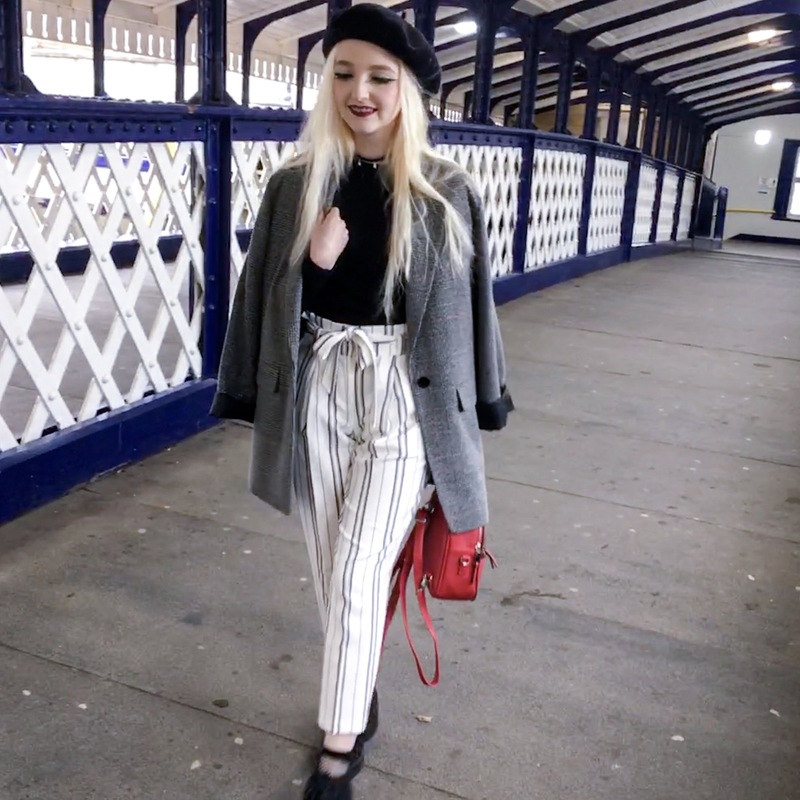 If you want to read more fashion-related posts, click here.